Choo Chang-min has steadily worked his way up through the film industry, initially working as an assistant director on several film before helming short film The End of April in 2000. 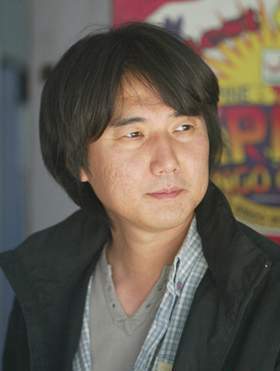 Following The End of April’s success, Choo Chang-min went on to direct Mapado (마파도) in 2005 and the Seol Kyung-gu starring Lost in Love (사랑을 놓치다) in 2006. Both films were modest successes. However it was in 2011 that director Choo’s career took a turn with the release of senior citizen romantic drama Late Blossom (그대를 사랑합니다). With positive reviews and bolstered by extremely strong word-of-mouth, Late Blossom went on to surprise many by becoming a sleeper hit. In 2012 director Choo became one of the hottest directors in Korea following the release of period drama Masquerade (광해, 왕이 된 남자). With an all-star cast featuring Lee Byeong-heon, Ryoo Seung-ryeong and Han Hyo-ju, the film soared at the box office with over 12.3 million admissions to become one of the highest grossing films in Korean cinematic history. Furthermore, Masquerade won every category it was nominated for at the 49th Daejong Film Awards, including Best Director for Choo.